and all things flourish wher'er you turn your eyes. The Roman god Jupiter sings these poetic phrases while observing the young princess Semele. It is an exoression of sincere attachment: let the world be good to you. Apperently Jupiter is deeply in love.And so is Semele. But while Jupiter's dreams are filled with pink clouds and frolicking cupids, Semele is aware of how vulnerable she is in their relationship. At first she is extremely happy when Jupiter abducts her and saves her from a marriage with Prince Athamas. But later on - left alone in her new palace - she starts worrying. She realizes there is only one way to protect herself: ask Jupiter to make her immortal. Semele has good reason to feel vulnerable. Jupiter is so much in love he doesn't pay any attention to te consequences of their relationship. The god even ignores the fact he is already married. His wife Juno, goddess of marriage and protrectress of marital fidelity, is not the person to take her husband's new love affair lightly. There is one key element that in the libretto is not expressed before the final scene, but that surely has an enormous impact on Semele's thoughts and actions: she is pregnant. When we encounter her, she has been carrying Jupiter's child for three months. The young princess is in big trouble. No wonder her first aria is a prayer to Jupiter for his help. Semele has been made pregnant by a god, is supposed te marry a prince, and fears her secret will be discovered soon. With this crucial knowledge of her pregnancy, we understand Semele's motives much better. In fact the whole story becomes clearer, and our opinion about the princess changes entirely. 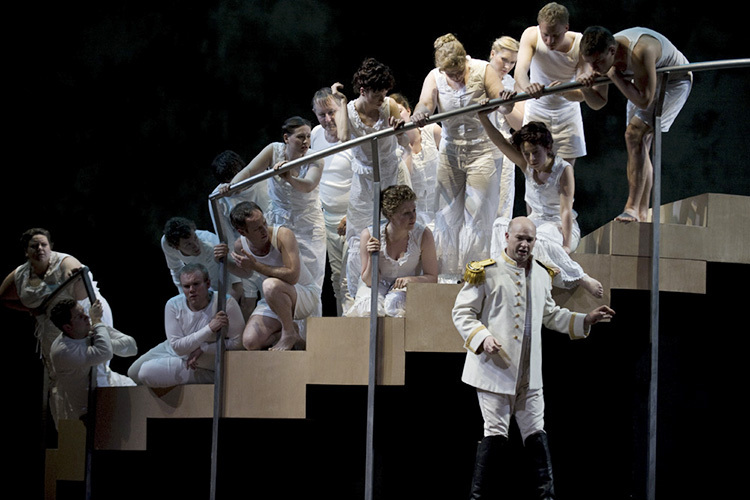 Vanity, often chosen as the theme for this opera, no longer plays a part. We find a touching story of a young girl fighting for her unborn child. Now we accept her stubborn ambition to become immortal. And we understand the fanatism with which Juno plots the elimination of her rival. 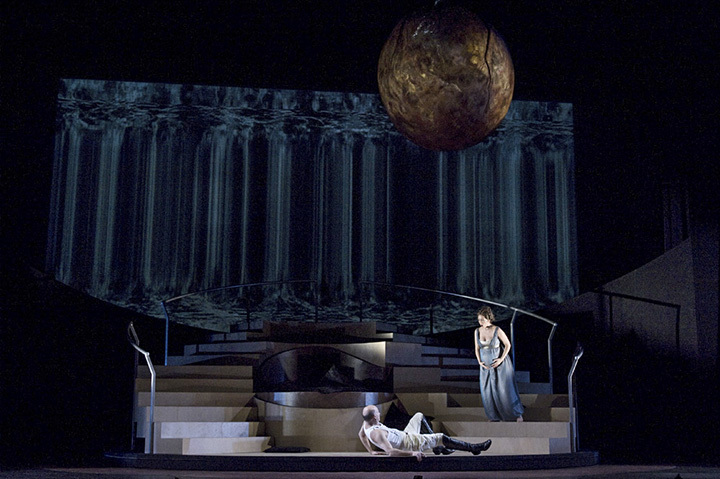 Semele's extramarital pregnancy has become the focus of this production. For this reason her story is connected to a world where such pregnancy would cause great scandal and put a young girl at risk. The Victorian era, with its strict moral and social rules, offers us the right setting. In Victorian times antiquity was very popular. Artists like Alma-Tadema achieved success with paintings of classical subjects. Roman influences made their way into architecture and costume design. 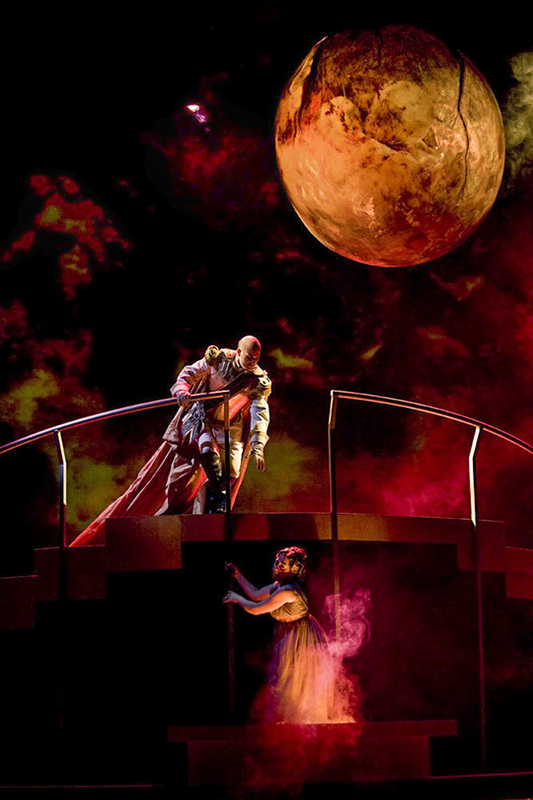 This merging of the 19th century and antiquity, what we experience when we see pictures of this period, creates precisely the right background for Semele's dramatic story. A God shall prove more mighty than Love, and sighing and sorrow for ever prevent. Happy shall we be, free from care, from sorrow free. Although everybody here sings about the young Bacchus, the audience in Handel's time clearly understood the message of Christian salvation. This adds another layer to the story. The magical world of the Roman gods now becomes a vehicle for a Christian massage of hope.